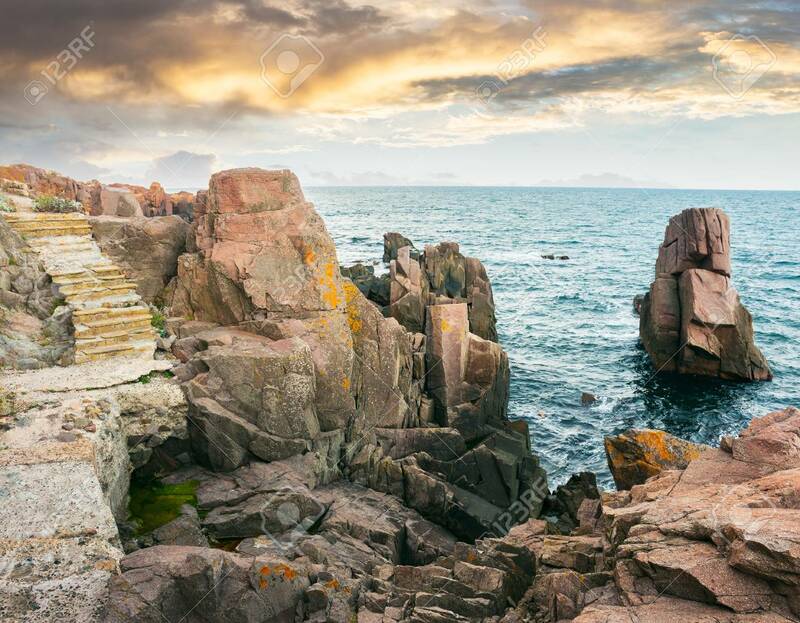 Stone Steps On Rocky Cliffs Above The Sea. Gorgeous Cloudscape.. Stock Photo, Picture And Royalty Free Image. Image 113389062.